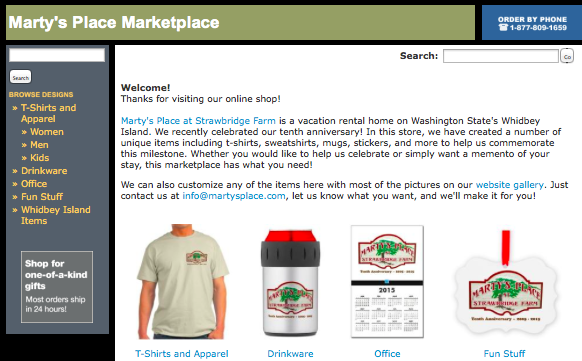 Welcome to Marty’s Place at Strawbridge Farm, a five-bedroom-plus vacation rental with room for a few people or your entire family. 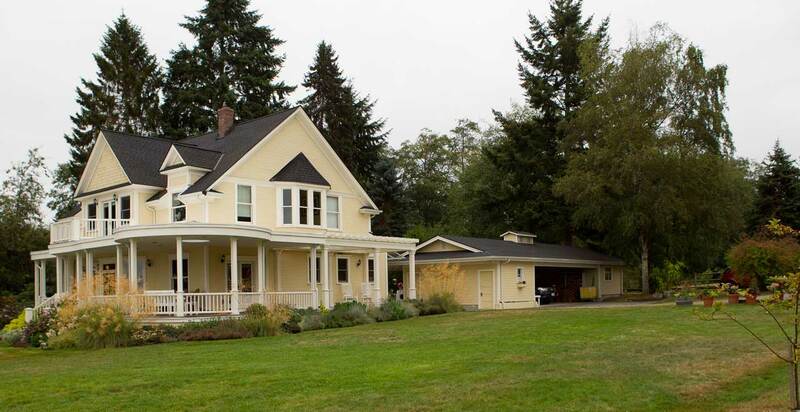 This restored 1909 farm house has all the amenities of a modern home, but has maintained its rustic sensibilities. 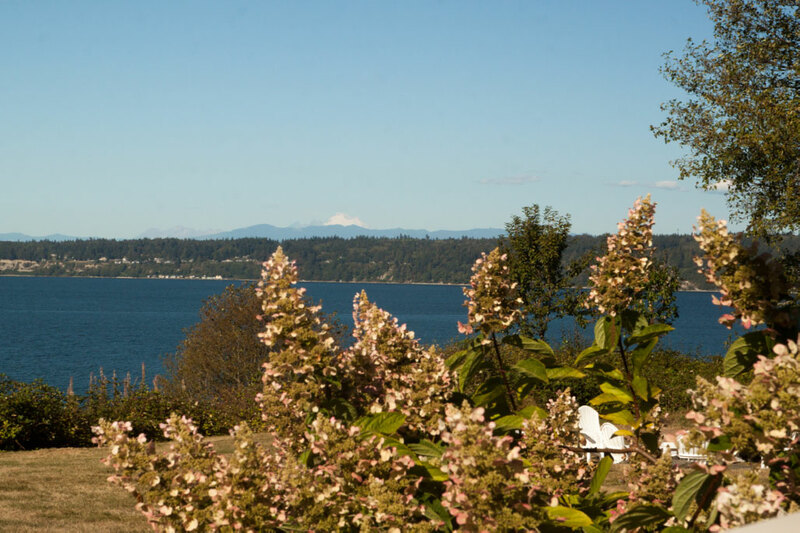 Come and enjoy the breathtaking views of Saratoga Passage, Camano Island and Mount Baker. 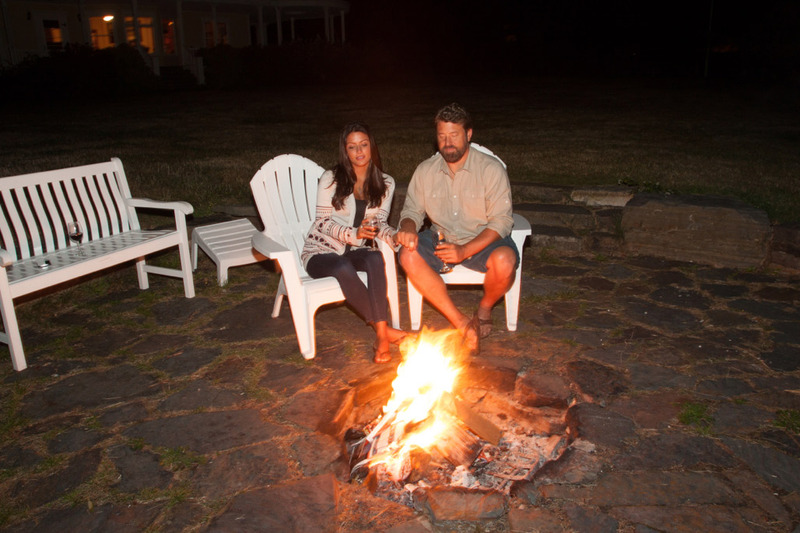 Sit by the crackling outdoor fire pit, walk or run across 41/2 acres of fields and gardens with your children, or simply sit and read under the many fruit trees and experience the renewing spirit of this setting. 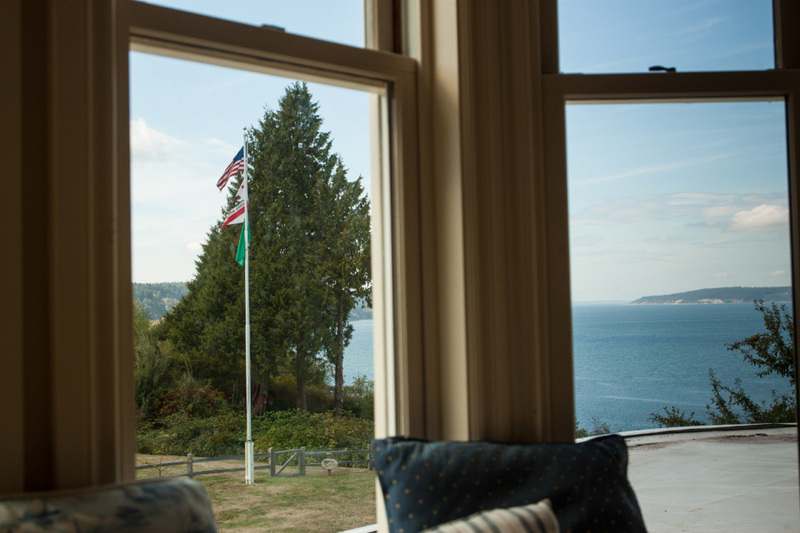 Year round watch the roosting eagles soar above the bluff, and watch the spectacular Northwest sunset from your front and center seat in the gazebo. The gray whales will pay you a visit from March through May as they migrate to their distant destinations. The walls of this house have been blessed with almost 100 years of laughter. Please help us build another 100 years with yours. Click on the above icons to see more information. Not ready make your reservation? Please contact us if you have any questions or would like more information about Marty’s Place. Take a virtual tour of our place to see if it is right for you. 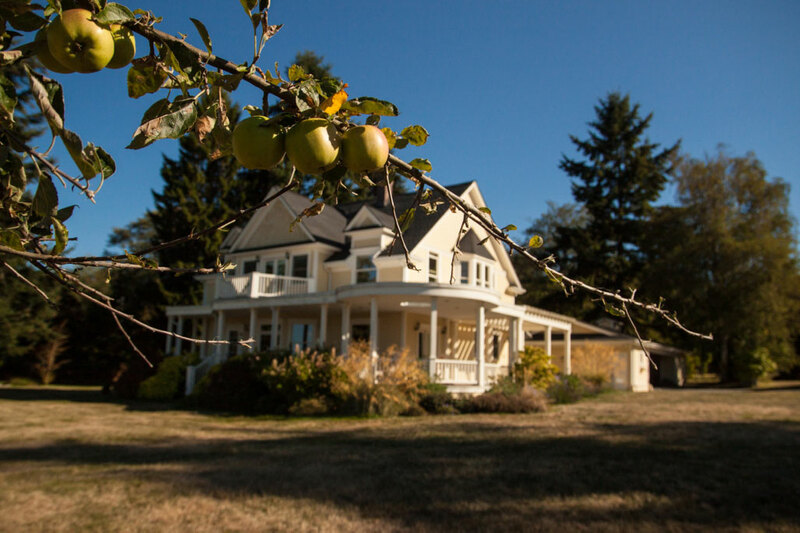 Marty’s Place is on Whidbey Island, about a two hour ride from downtown Seattle and just a short drive from the Mukilteo – Clinton Ferry. 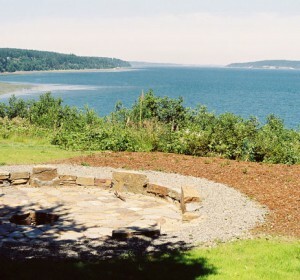 The easiest way to get to Marty’s Place and around Whidbey Island is to rent a car at the airport. From baggage claim, follow the signs for Rental Cars, and then take the free shuttle to the rental car location. 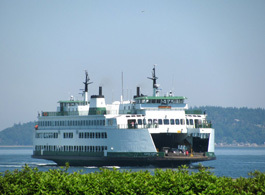 The Whidbey-SeaTac Shuttle serves all of Whidbey Island with transportation to Sea-Tac International Airport. Marty’s Place is a proud member of both the Langley Chamber of Commerce and the Clinton Chamber of Commerce. 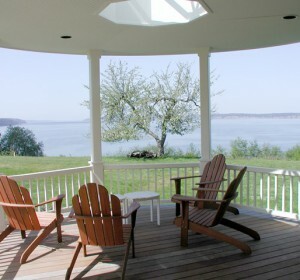 Their websites have lots of interesting information about Whidbey Island, including suggestions for things to do. Photo Copyright © 1997-2014 Go Northwest, LLC. All rights reserved. We have a special discount for our Facebook friends! Get $25 off the rent of a new reservation at Marty’s Place. “The View”, “House through the Apple Tree”, “Sunny Nook View”, “Enjoying the Firepit”, “Photo of Marty’s Place Sign” & “Our Reviews”. House and Carport picture © 2010 by Heston Photo – http://www.HestonPhoto.com. 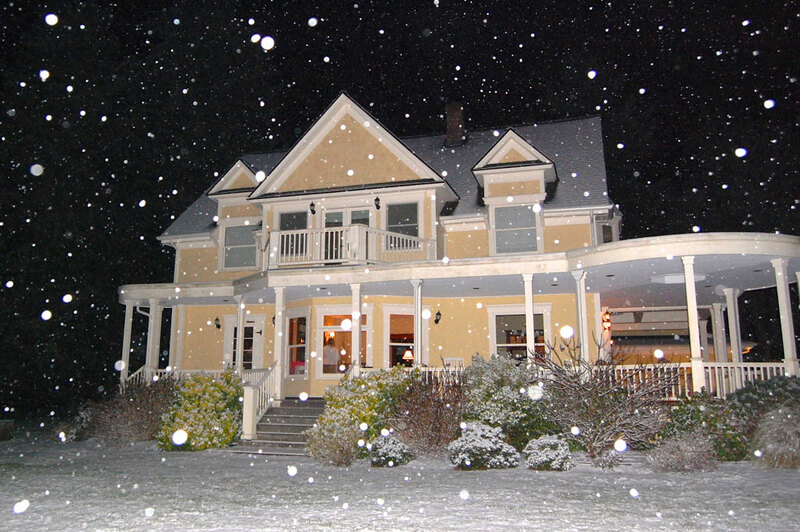 Marty’s Place In the Snow – Photo by Jeri Vaughn. Downtown Langley photo Copyright © 1997-2014 Go Northwest, LLC. All rights reserved.